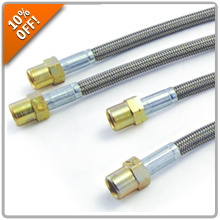 Save 10% OFF Speed Bleeders & Precise SS Brake Lines! Improve your braking performance with a set of Precise Stainless Steel Brake lines and make your next brake bleeding project a one-person job with Speed Bleeder check valves! From now until July 19th receive 10% OFF both of these awesome brake products when you enter promo code BRAKE10 during checkout. 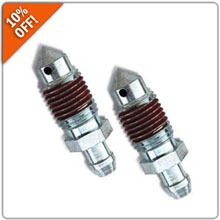 Now’s the time to save on improving your vehicles brake feel and turn that daunting brake bleeding job into a breeze. Don’t miss out!